Agua Amarga is located by the sea in the Cabo de Gata Natural Park in the south-east corner of the Spanish peninsula. The area has the highest number of sunshine hours in Europe. Due to its location by the sea enclosed by surrounding mountains, Agua Amarga enjoys an attractive micro climate with more moderate temperatures during summer and warmer during autumn than elsewhere in the area. 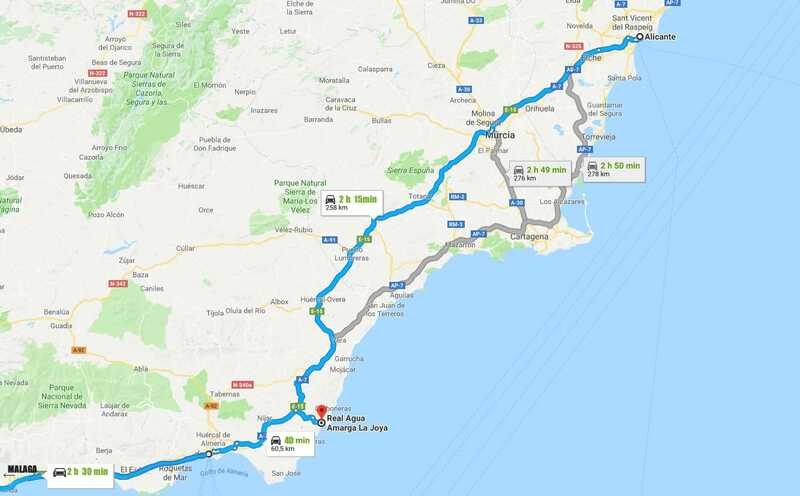 Almeria Airport is just 40 minutes by car, while Alicante is 2:15 hrs away and Malaga 2:30 hrs. I consent to Real Agua Amarga | Exclusive and Spacious Suites collecting my details through this form.